This African Leopard (Panthera pardus) was taking the afternoon off and hanging out in riverine flats along the Sand River, which flows through the Sabi Sand Reserve. 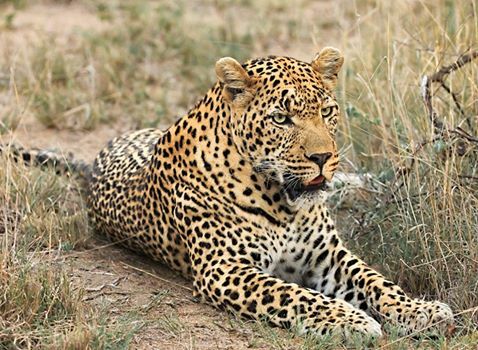 The Sabi Sand is the birthplace of sustainable wildlife tourism in Southern Africa, and is the oldest of all the private reserves in South Africa. It has only ever been a wilderness area and is home to a vast wildlife population, including The Big Five, and a number of endangered species.